Good news: Magsud A. versus the German Deportation Machinery 2:0 for Magsud - Victory! 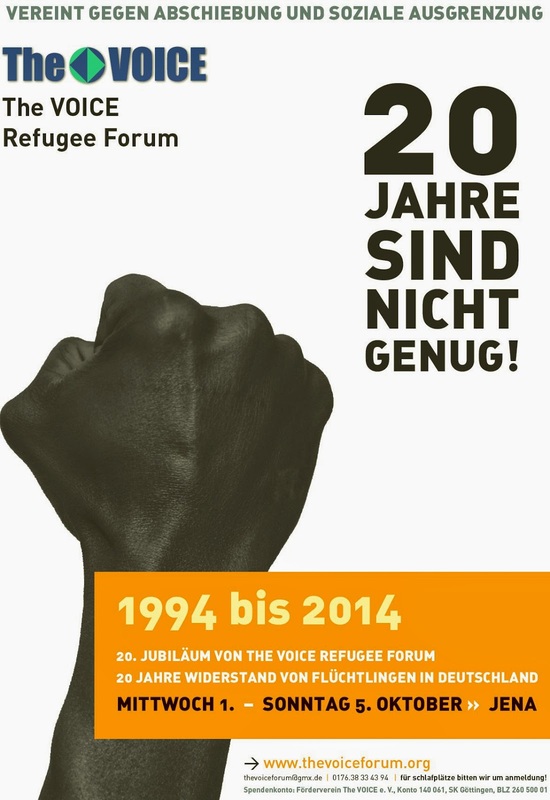 Disrupt the German Deportation Machinery and the persecution of refugees by the authoritarian state! Dr. Magsud Aghayev and his son Rafael got their residence permit back after 3 years (M) and 9 years (R) without permanent residence from the Foreigners’ Office in Apolda!!! This is really great news because their defiance and determination in the face of persecution and intimidation by the state is once again proof that we can resist and win even against the monster. Both of them arrived in Germany in 2005 as father and son. Rafael, his son, is the father of an 8-year-old boy who lives with his German mother in Apolda. Dr. Magsud and his son were transferred to Apolda after he led the struggle with other refugees to close down the infamous Katzhütte isolation camp in 2008. The struggle of Dr Magsud for the rights of refugees did not end with the closure of the notorious Katzhütte camp nor in Apolda. As Dr. Magsud so often stated „We will fight till the end“. Dr. Magsud was granted the right to stay in Germany in 2010 by the administrative court of Meiningen without further deportation threat. In 2012, Maqsud's permanent residence permits were withheld and substituted with normal white A4-papers renewal for him and his son without justification with bi-monthly to three months maximum extensions. All the while, Magsud was being intimidated and criminalized, persecuted and threatened with court processes, and by the deportation deal between the Foreigner’s Office and BAMF. This deal was meant to review his positive court decision to enable the nullification of his residence permit granted by the court. BAMF Nürnberg was in charge of his case. So Magsud tried to contact Nurnberg but to no avail. A delegation was planned by Magsud to meet with the officials of BAMF in Nürnberg on 2nd March 2018. This was without notification because all attempts to reach them on phone before had failed. Our delegates from Thueringen informed the officials at the BAMF Nürnberg that we needed an answer to Magsud’s situation and that the visit will not be the end of the protest. The BAMF officials then promised to see to the case but said that the official in charge was actually in Hermsdorf. Yet, they refused to name the official in BAMF in Hermsdorf when asked. They responded that the officials were secret. In the so-called rechtsstaat, the name of a public official suddenly becomes a secret. Bravo!!! Wonder they say shall never end!!! No official in the office of the Bundesamt directly involved in his case was known by name and there was no official letter or other correspondence. It is important to know that the right to asylum is of political and public interest and for the interest of the refugee community. There must not be any secret about it. Shortly after Magsud led the delegation of refugees and activists on the 2nd March 2018 to the BAMF in Nürnberg the Foreigner’s Office informed Rafael and Magsud in the middle of March on the success of their struggles against the Foreigner’s Office and the BAMF. They would get back their stay permits with four years extension. We never doubted! The most fascinating lesson for us all here was Magsud’s self-determination to fight politically. He refused to bow or solicit paternalistic support but instead relied on the time tested solidarity and the overriding common interest that is at the heart of our struggle for justice. He could not afford to succumb to the discriminatory bureaucrazy that intimidated, criminalised and persecuted him without any reason other than to punish him, suppress his voice and silence him for his fight for justice. He refused to take a lawyer for his political protest and his unyielding determination coupled with the ironclad solidarity from fellow refugees amongst others saw the case of BAMF and the Foreigners’ Office collapse like a pack of cards and a hoax that it was. 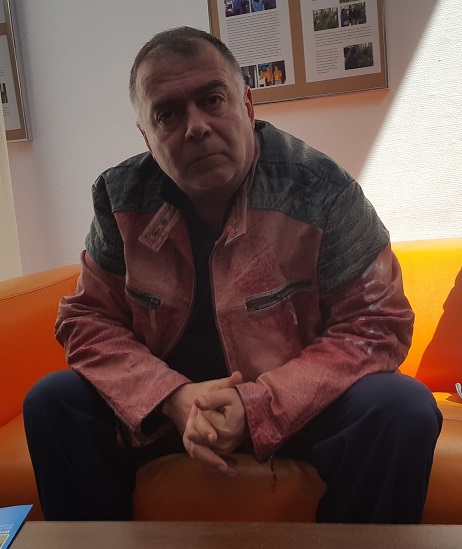 It is obvious Dr. Magsud has been persecuted because of his political activism in the refugee migrants community, The VOICE and the Caravan, and in the break deportation network in Thueringen. He committed no crime, activism is no crime and we’re all supremely proud of him! He is a worthy example to young and new refugees in Germany and the message is clear: If you do not fight for your right, the so-called rechtsstaat will deny your rights! Basta!!! After three years of fighting, Magsud and his son Rafael got his residence permit back! "I will fight till the end" he says, and we reply, “We will fight with you all the way!!! We are proud of every supporter as we congratulate especially the refugee activists from Bamberg refugee camp who were very motivated to support Magsud A during his delegation meeting in the BAMF in Nuremberg on the 02.03.2018. Apolda will be televised by the community!